Silsila Badalte Rishton Ka written episode Kunal learns that Mishti is his daughter. 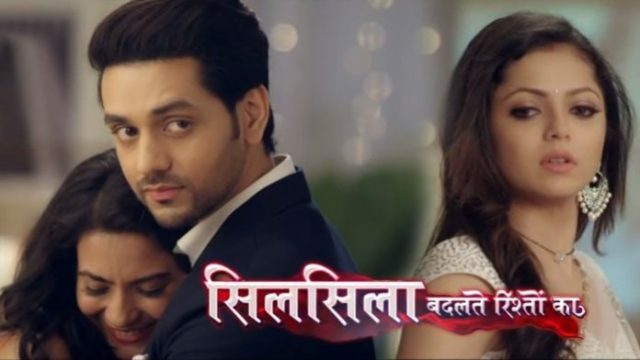 Silsila Badalte Rishton Ka written update 26th November 2018, with Ishaan delaying the engagement ceremony and waiting for a special person who is most important to him. Silsila Badalte Rishton Ka a very popular entertaining show, is currently on a very intrusting stage. the serial Silsila Badalte Rishton Ka is at the turning point. There is fully emotional drama is there in the serial. Mishit walks in and Ishaan seeks her permission to exchange rings with her mother. Mishti aks him that if he will keep her mom happy and he replies to this question by saying yes. Ishaan gave a surprise to Mauli. He gave a dance performance. After this Ishaan and Mauli, both were dancing with each other. But Mauli did not feel comfortable to dance with Ishaan. Meanwhile, as Mauli and Ishaan are all about to exchange rings, the light goes off. Kunal drags her (Mishti) mother to a corner and Mamma gets shocked to see him there. She asks him that to leave but he refuses. He asks her Mamma that whos daughter is Mishti. To listen this Kunal gets shocked and he did not understand the reason behind this. Mamma cooks up a story and she said that Mauli adopted Mishti after he left her life. She requests him to go back from there. Kunal does not believe in Mamma and gets doubtful. Meanwhile, Ishaan manages to fix the light issue and he exchanges rings with Mauli. He speaks highly of Mauli in front of the guests. He tells everyone that Mauli has a heart of gold and she is a beautiful person. Mauli gets ready-eyed. Dida sees that Mishti having too many ice creams and tries to stop her. But she does not listen to her. Mamma also joins them and even she tries to tell Mishti not to eat the ice creams that much.